legislators exactly what we are seeking. less than the allowed amount for the chiropractic adjustment. medical services in an equal manner. we must educate the politicians as to our scopes of practice. well as a chiropractic diagnosis. arrive at a medical diagnosis on a patient. TO PUT THE LAST NAIL IN OUR COFFIN. researchers and honest medical professionals. experience another such headache in their lifetime. has achieved under such care is irreplaceable. patient whole hypertension is spinally related etc. manipulative care with a permanent relief of symptoms. to excellent outcome, without harm to the patient. 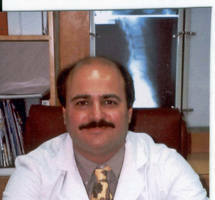 need or desire by the patient to have back surgery. of whether the surgery provided a positive outcome or not. one trade association looking out for our interests. have a trade association looking out for our interests. vision or insight into the future of the profession. patients that is actually in the decline in recent years. fanatics determine the direction of the profession. has effectively seen our miniscule patient base decline. in flushing our profession down the toilet. be found in the file sharing section of this website. We Endorse Wisconsin Chiropractic Associations Intellectual Initiative "Reinventing The ACA" !!! The U.S. Chiropractic Association and Fred Beck, D.C. applauds the efforts of the Wisconsin Chiropractic Association in regards to their 24-page document, “Reinventing The ACA”. The Wisconsin Chiropractic Association’s initiative is well thought out and intellectually sound. Our future survival requires goals and strategic planning. Survival requires an upgrading of the image that the Chiropractic profession presents to the public. Improving the image of how the public perceives us is not accomplished by magazine advertising. It comes by upgrading the science of the profession, the proficiency of its members, and the professionalism of members when interacting with the public and other health care professionals. I honestly do not believe that the ACA leadership would willingly reorganize or follow through on any of the strategies presented by the Wisconsin Chiropractic Association. We hope that their document achieves changes within the ACA. Although, personal experience has already taught me that the ACA is not interested in the future survival of the profession. The ACA has ignored opportunities handed over to them on a silver platter by me. I believe that the ACA’s leadership has a very low opinion in regards to the competence, qualifications and professionalism of our profession. Possibly a lower opinion than even the public and other health care provider groups. The Wisconsin Chiropractic Association document is a call for change. It demonstrates that members within our profession can get together and professionally agree on a strategy to achieve future greatness for the profession and the long-term survival of Chiropractic. If the ACA is not up for the task at hand, the profession will need to stick together and and choose a new national association for leadership. Whether that leadership comes from the U.S. Chiropractic Association, or some other organization, is not important. What is important is having a national united voice for the profession. The U.S. Chiropractic Association is prepared to fully support any organization up to the tasks outlined by the Wisconsin Chiropractic Association. The U.S. Chiropractic Association endorses the concepts presented in the Wisconsin document. Wisconsin Chiropractors should be proud to have an association that truly is looking out for their welfare and the survival of the profession. The public served by Doctors of Chiropractic in the State of Wisconsin is the beneficiaries of an association that promotes the highest standards of Chiropractic health care. Thank you for stopping by the website for THE UNITED STATES CHIROPRACTIC ASSOCIATION. The information at this website is here to inform Chiropractors about policies of our major chiropractic trade associations that may surprise you. We try to offer solutions to problems encountered within the Chiropractic profession. If you have additional information for this site that includes documentation that can be verified, we would be happy to publish and/or respond to such information at this site. If you feel as strongly as we do that our profession has become our own worst enemy, try to get our major Chiropractic associations to do the the job they are supposed to do of representing our profession as a professional trade association. If that does not work consider donating time and financial assistance to Dr. Fred Beck and the U.S. Chiropractic Association. At this point, The U.S. Chiropractic Association is more of a philosophy than a true trade organization. This organization would need to be developed from scratch. We would need to obtain more members than the American Chiropractic Association so that we can honestly state that we truly represent the profession of Chiropractic. Financial backers will be needed soon if we are to get this organization off the ground in 2009, at which time we will begin a membership drive.